Yesterday saw me hit 70,065 words that I have managed to scribble away since January 1st 2012. It has also had a change of title. After discussions with my mum on what I had originally planned for the title, I felt it gave too much away towards my intended ending. We came to the conclusion that it appeared to be too specific and, from a marketing point of view, it had a seasonal title and therefore would be less likely to be read all year round. The new title is very intriguing to say the least, extremely relevant to one of the running themes and, to all close friends, very relative and amusant. I may reveal it when I have reached my goal. In the past few chapters I have written, I have used my own ridiculous experiences as well as things that I have come across recently in my everyday life. Some very helpful words of advice from a blog that I follow; MissyBiozarre and her post on The Importance of Doing Mindless Tasks. Our brains are sponges that soak up things daily and if we tune in to it, stories can develop. Only yesterday I witnessed an incident at the local supermarket where there were nearly handbags flying at the self checkout between two women. Needless to say, I went straight home and easily added this into one of my Chapter’s. 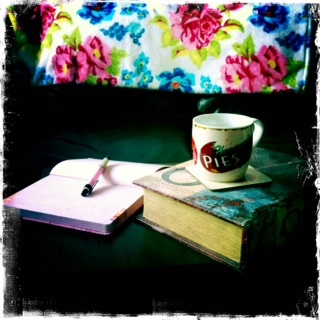 Fab words of advice for any budding writer; watch, listen, absorb..WRITE! I now have five days (including today) to reach my goal. So back to writing I go. This entry was posted in Uncategorized and tagged Memory Stick, USB.